Are you having problems of finding meaningful Christmas presents for family and friends? Books make ideal and meaningful Christmas presents for family and friends. And as I am spending some time dealing with family business I thought reposting some of my past book reviews over the next few days could be useful am repeating some of my past book reviews. Another one for younger readers – aimed at 12 – 120 years old. Audio vers. US$ 19.79 . I have posted on this book before (see A reminder of reality’s magic). It’s now available in New Zealand so a review is in order. Fortunately I have had an audio version of the book for a week, have listened to it all and am happy to recommend it. I can especially confirm my earlier recommendation as a sciency book for young people – perhaps a Christmas present. Richard Dawkins himself says he aimed the book at young people from 12 years old to 100 years old. Younger children may also enjoy it, especially with parental help. Each of the book’s twelve chapters are built around a question – the sort of questions young and other inquisitive people ask. “Who was the first person?”, “What is a rainbow?”, “What is the sun?”, “What is reality? What is magic?”, “When and how did everything begin?”, “Why do bad things happen?” “What is a miracle?” and so on. Most chapters start with the traditional or mythological answers. Some of those will not be new, coming from our own tradition or religion. New Zealanders will recognise a number of Maori or Christian myths. Others will be new, refreshing, intriguing, or even plain silly from our point of view. But, of course, there is no reason to suppose any mythological tradition is any more correct, or of any more value, than another. This helps develop a rational perspective. This is really a reminder about another sciency book for the kids – especially with Christmas coming up. 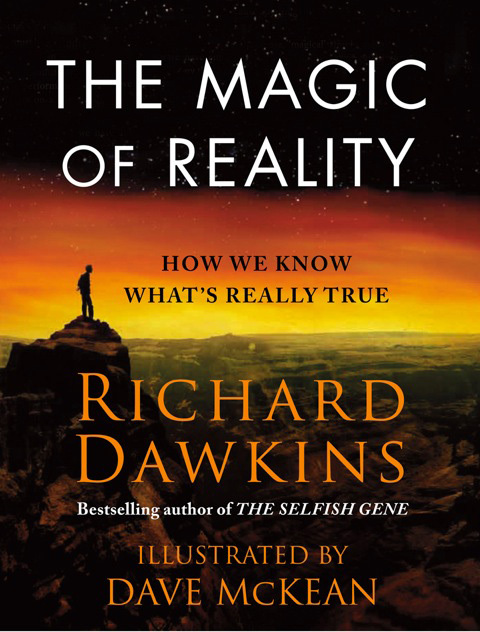 Back in May I posted on a new book by Richard Dawkins (see The Magic of Reality for young people). I am posting again on this because the book, The Magic of Reality: How We Know What’s Really True , will be released this month in the UK (October 4 in the US). It’s bound to be excellent, given Richard’s well known literary and science communication skills. And the illustrator, Dave McKean, has illustrated many award-winning books. Looks like the book is aimed at the older child and teenager, and appears suitable for adults as well. This is something we need more of – science books for young people. And chances are this one, The Magic of Reality: How We Know What’s Really True , will be good. The author, Richard Dawkins is a fellow of both the Royal Society and The Royal Society of Literature. He has a proven track record as an author of popular science books. And the illustrator, Dave McKean, has illustrated many award-winning books. It will be published in September or October. 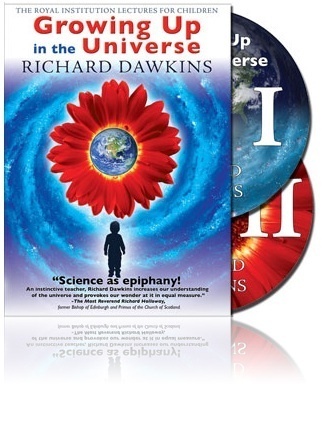 There will also be an audio version read by Richard Dawkins and his wife Lalla Ward. You can get an idea of Dawkins approach to communicating with a younger audience from his A prayer for my daughter (see Dawkins’ prayer for his daughter)*. Or you could watch his Growing Up in the Universe. These are Richard’s 1991 Royal Institution Christmas Lectures for Children. Available on DVD. I can think of a few young people who will be getting this new book for Christmas. *You can download a pdf file of A prayer for my daughter. Or if you have an eBook Reader or Kindle here are ePub and Mobi files.